The Charaka Samhita Sutrastrana Chapter 17 verse 12 attribute specific qualities to bronze by virtue of which it performs its actions. 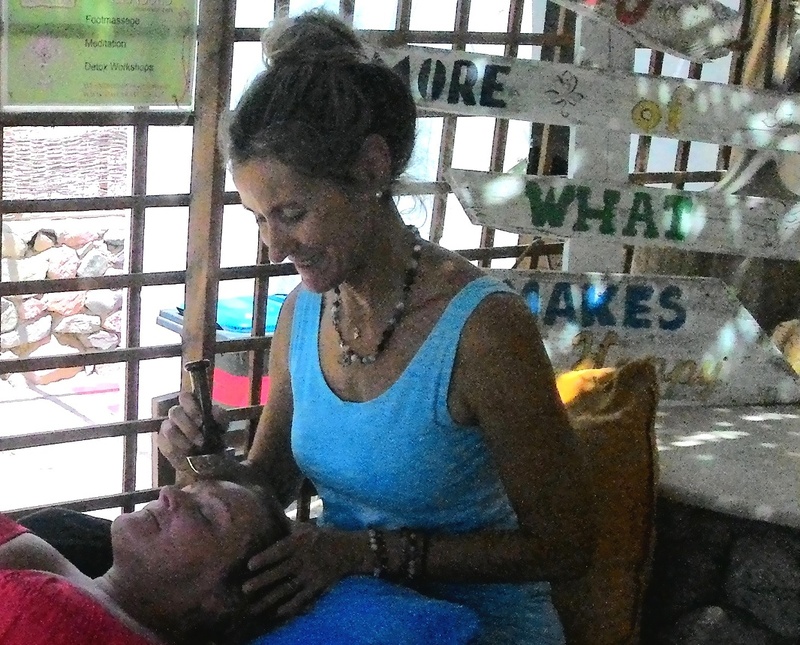 Massages with a Kansa wand using herbal oil stimulates various fascial Marma points to get the additional beneficial effect apart from that derived effects from massage with the fingers alone. instant results of tightening, beautifully glowing skin, spontaneous relaxation and rejuvenation? energy points and initiates the healing process. On the face there are numerous energy channels which anatomically are important junctions of nerves, veins, arteries and ligaments. The use of Kansa or bronze is made due to certain specific properties of the Kansa metal. The word Kansae is derived from the Sanskrit word Kansya which means bronze. Kansya (bell metal or bronze) is an important alloy of copper and tin know as Misra Loha. to bronze by virtue of which it performs its actions. Which effect does it have on the Doshas? Kansa pacifies Kapha and Pitta dosha. Therefore it has a curative effect on lymph stasis, edema (which happens due to Kapha aggravation) and inflammation (which happens due to Pitta). The Taste or Rasa of Kansa is tikta (bitter) and kasaya (astringent). Therefore it acts as an anti-inflammatory. The bitter taste pacifies Pitta. It also acts as a toner of the skin due to its astringent taste which pacifies Kapha and tightens the skin, an important requirement of any beautiy treatment. Its potency is hot or heating, therefore it stimulates circulation. Ritika variety of brass becomes like copper after heating strongly and then quenching in sour gruel. Modern research has shown that due to the traditional bronze`s hight electrical conductivity, Kansa works easily and effectively with the body`s subtile elecric fields and the piezoelectrivity that runs in the collagen layer and fascia. And, as it is using your body`s own natural currents, many of the side effects of such machinery as galvanic stim for pain or low current stim for face lifting are avoided while creating the same or similar beneficial results.